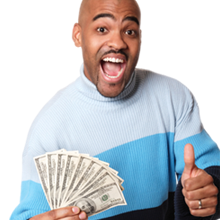 A cash advance loan from CashLoan.org is just a click away for North Carolina residents. Once approved, your cash advance loan will land into your account in as little as one hour, so there's no waiting for funds. The application procedure so quick and easy, you’ll be amazed. North Carolina state law prohibits payday loans. The law stipulates that payday loan lenders (and other small loan lenders) must comply with the state’s criminal and small loan usury laws which severally restrict the allowable interest rates and fees to levels much lower than what a payday lender usually charges. Finance fees cannot exceed 15% on the maximum loan of $300. A rate cap of 36% per year applies to small loans.